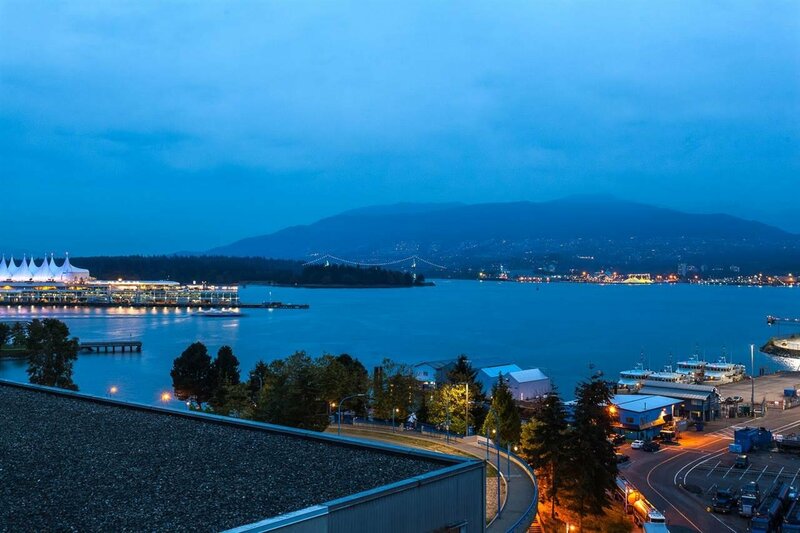 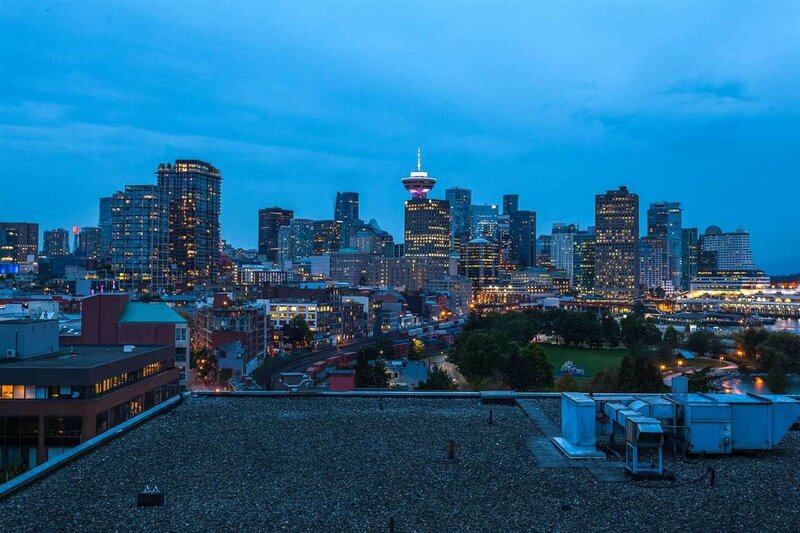 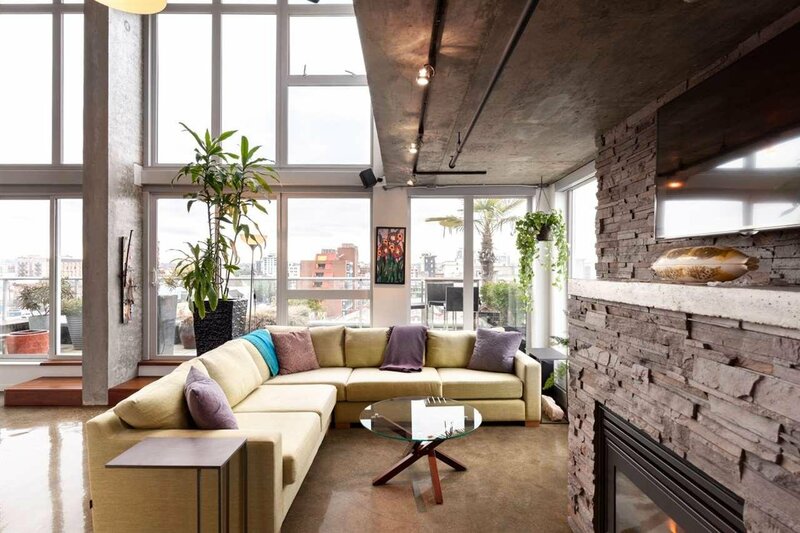 Welcome to the epitome of urban living at The Edge. 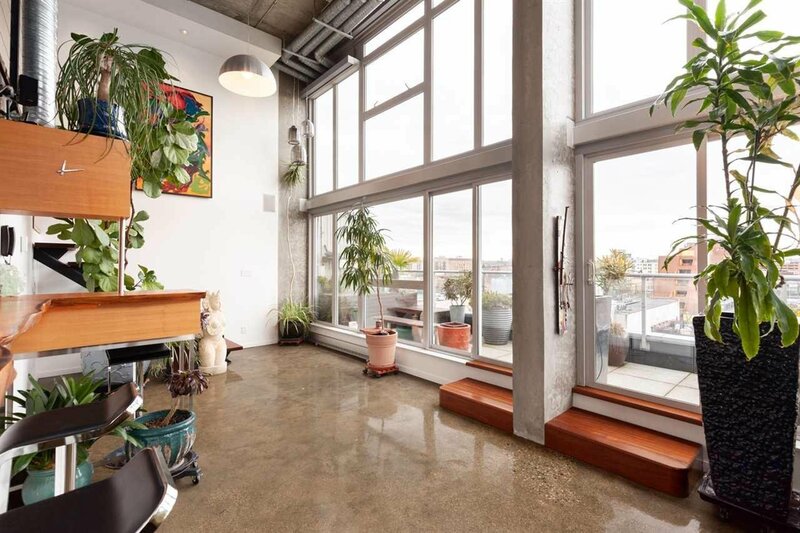 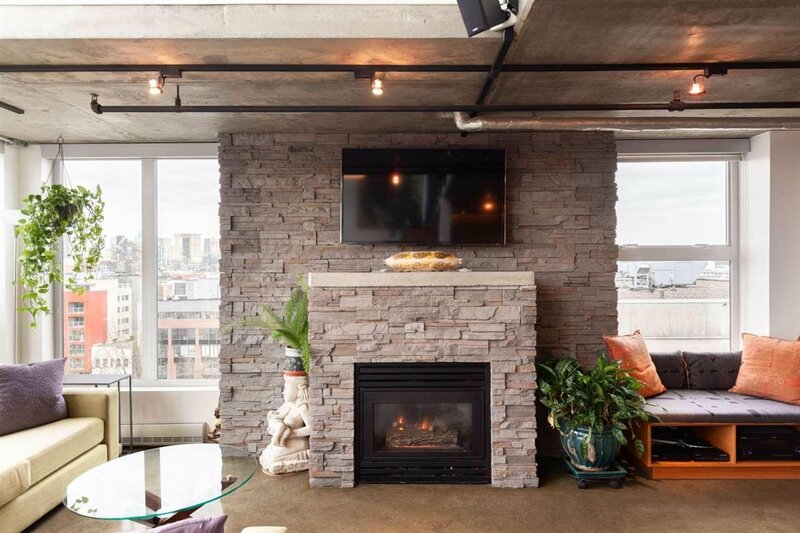 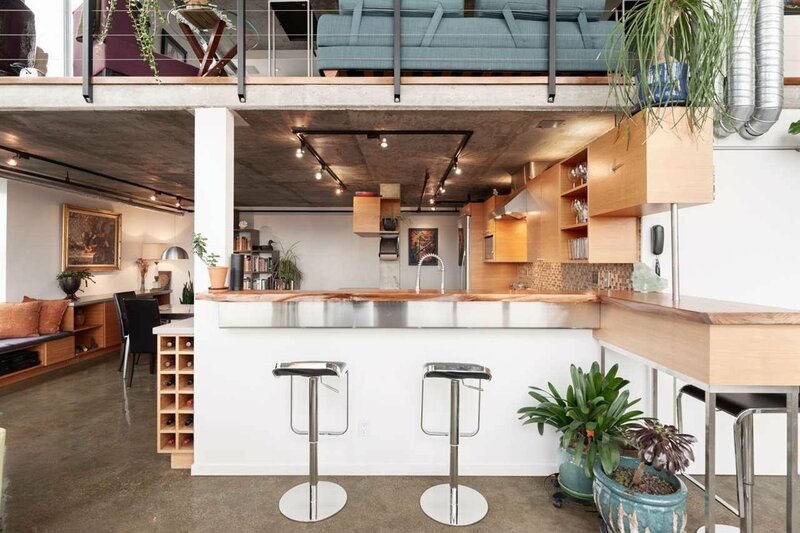 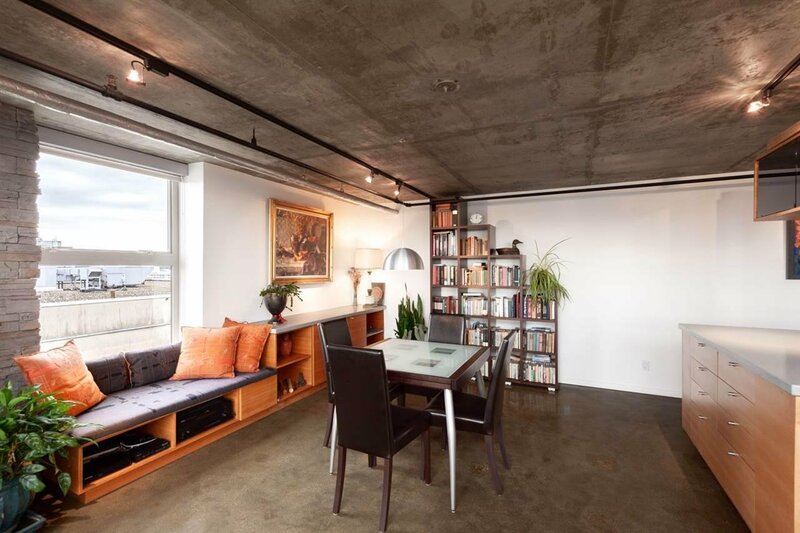 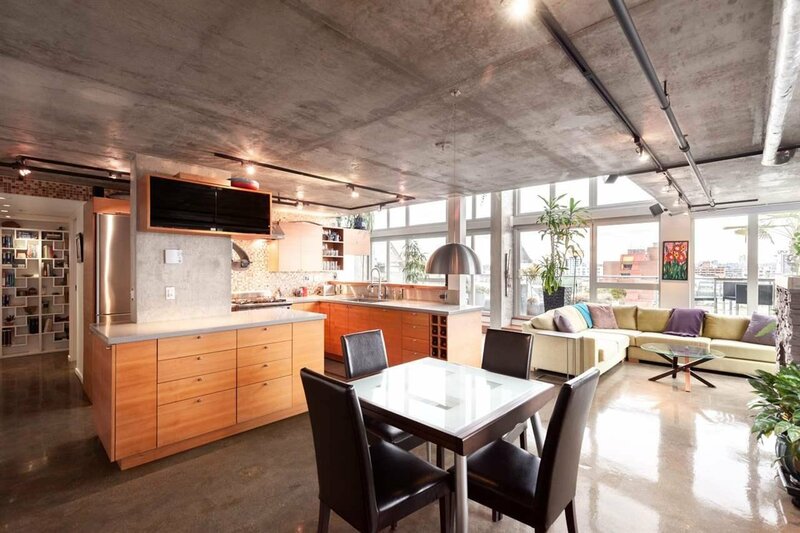 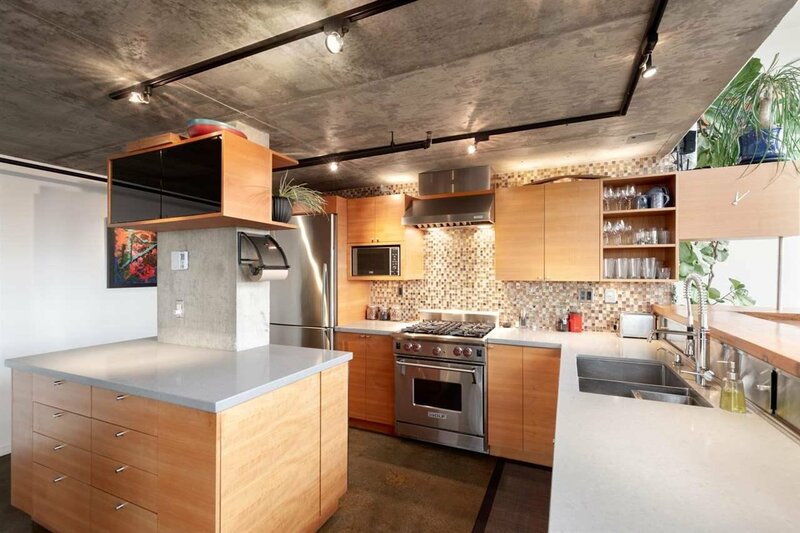 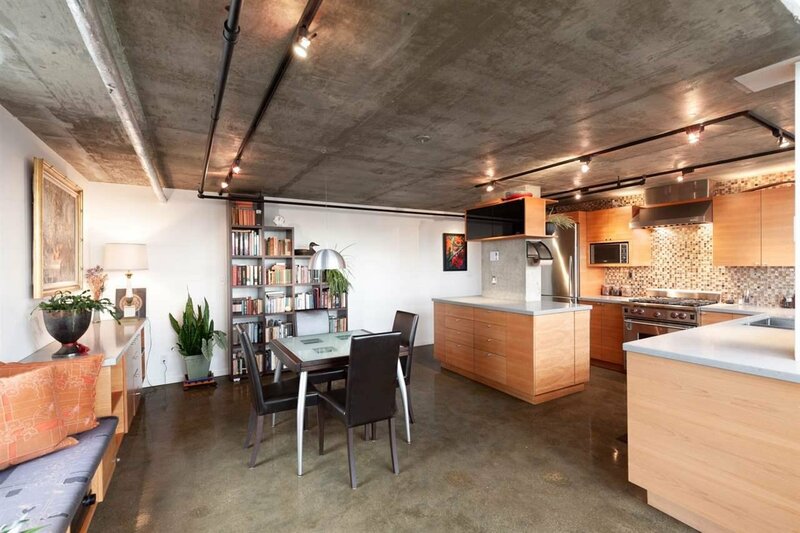 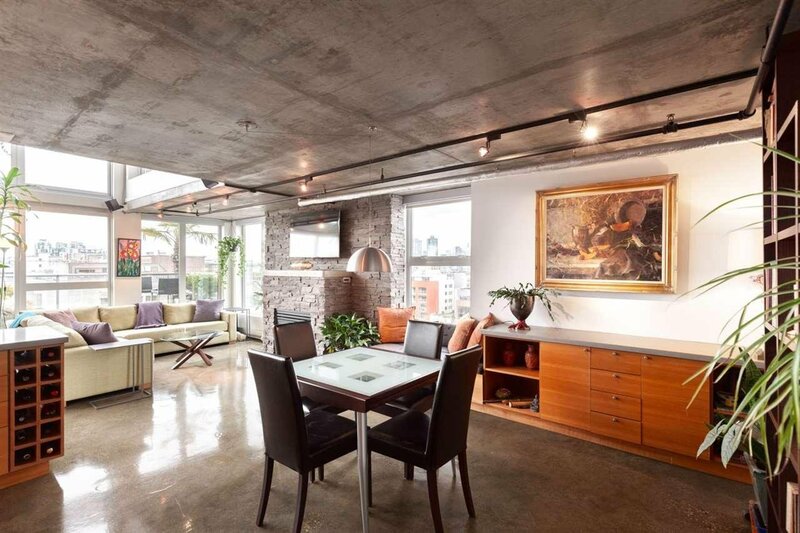 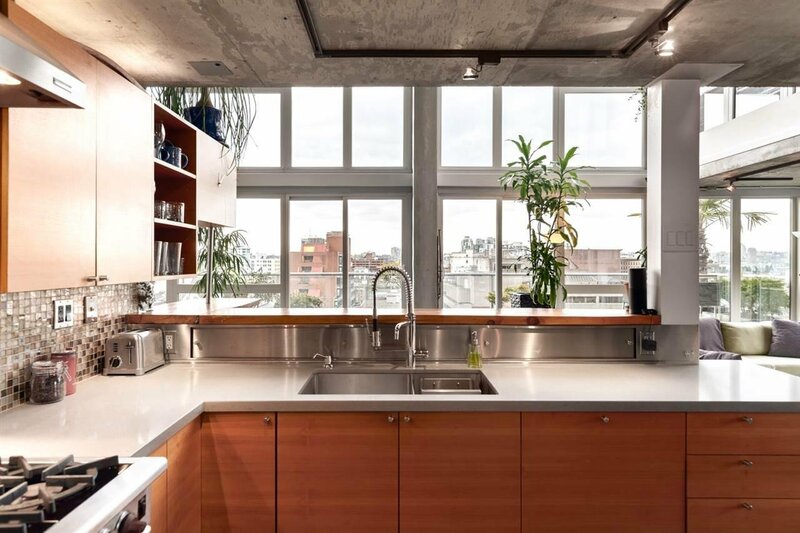 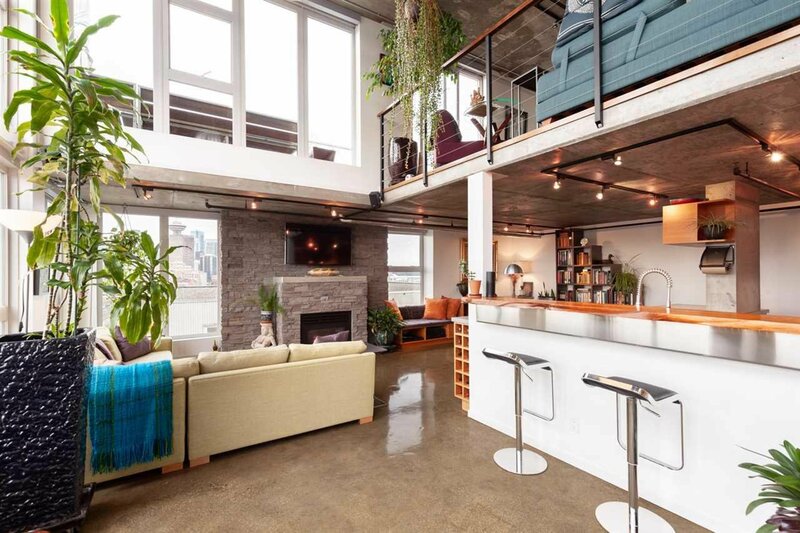 This exceptionally rare penthouse loft is bound to impress with polished concrete floors, 16� ceilings and floor-to-ceiling windows. 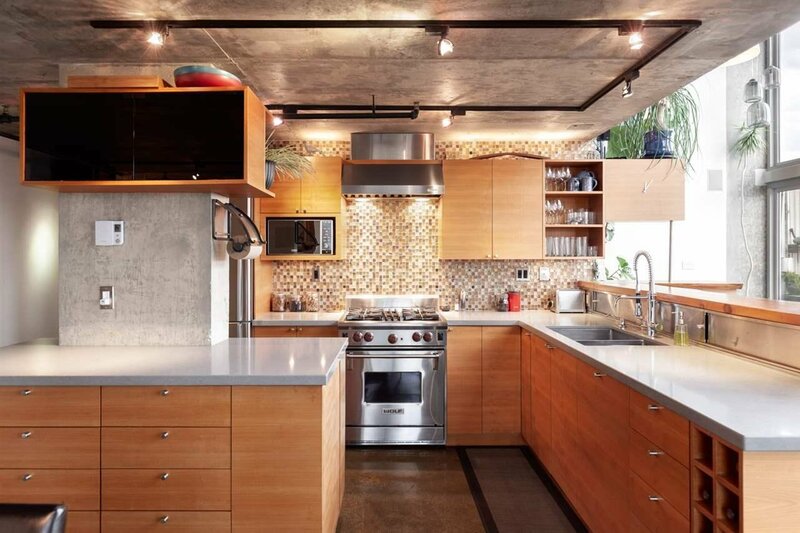 Chef�s kitchen with quartz counters, Wolf gas range, Fisher Paykel fridge, integrated dishwasher and plenty of custom built-ins. 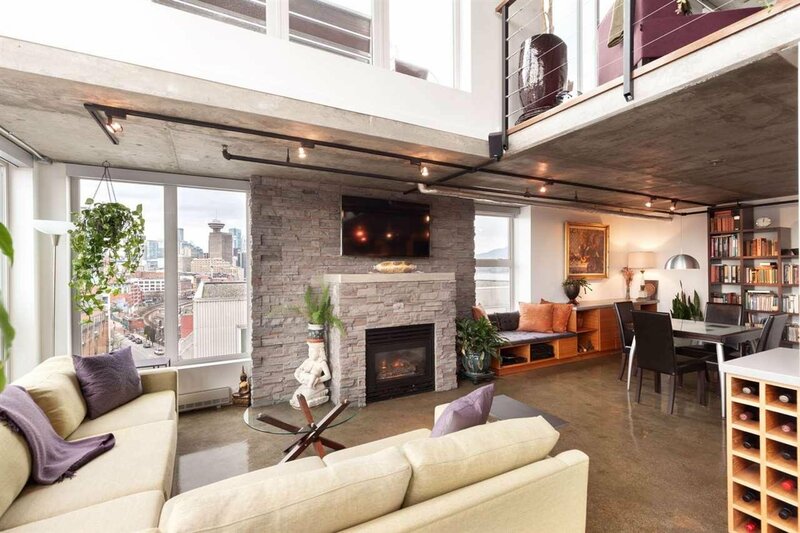 Spacious living area with stone mantle, inset gas fireplace and an open office area on the main floor. 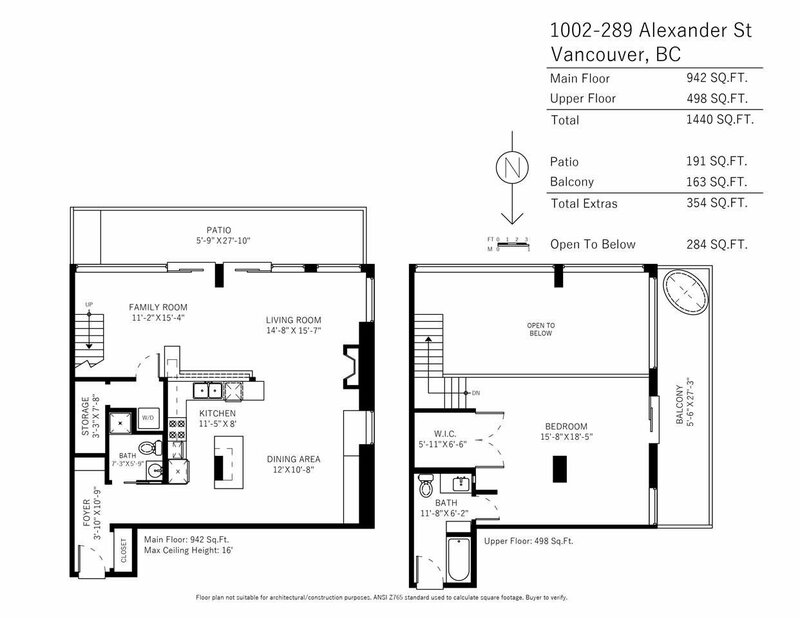 Upstairs is the huge master bedroom with walk-in closet and ensuite bathroom. 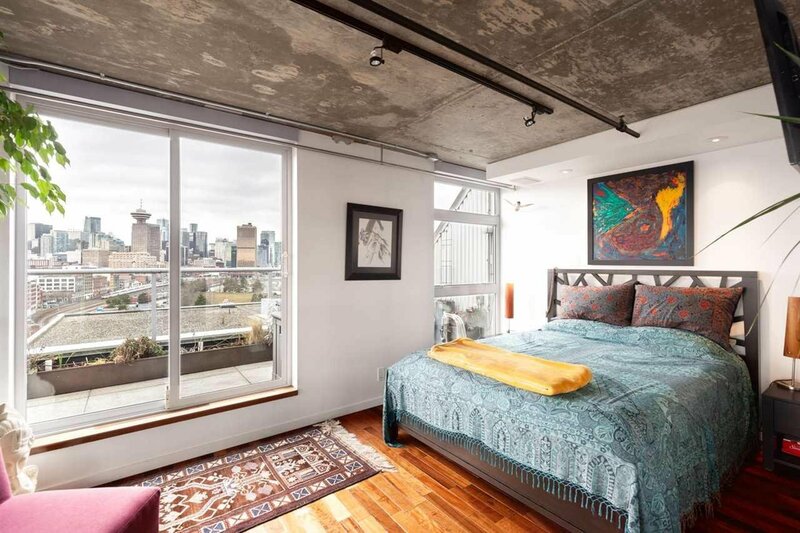 Guest bathroom has a sleek walk-in shower and heated floors. 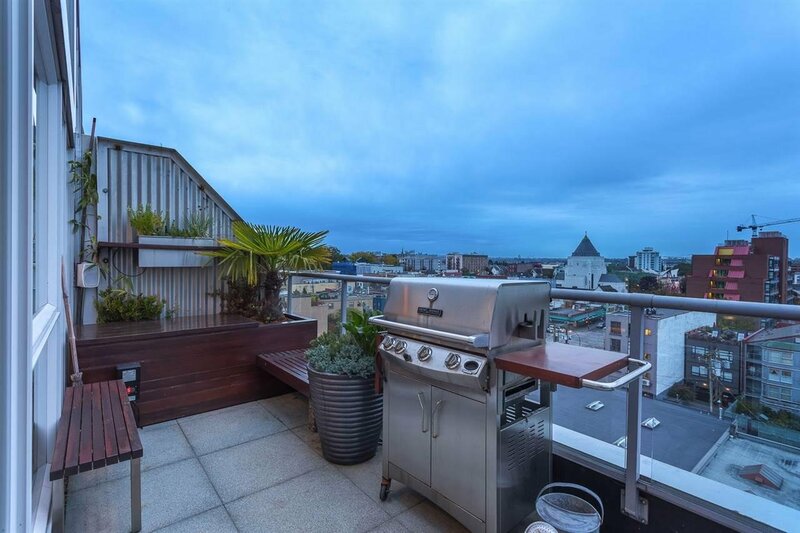 Two large patios totalling more than 350 sqft; the lower South patio is your spot to chill in the sun and the west facing patio is your oasis to take in the sunsets. 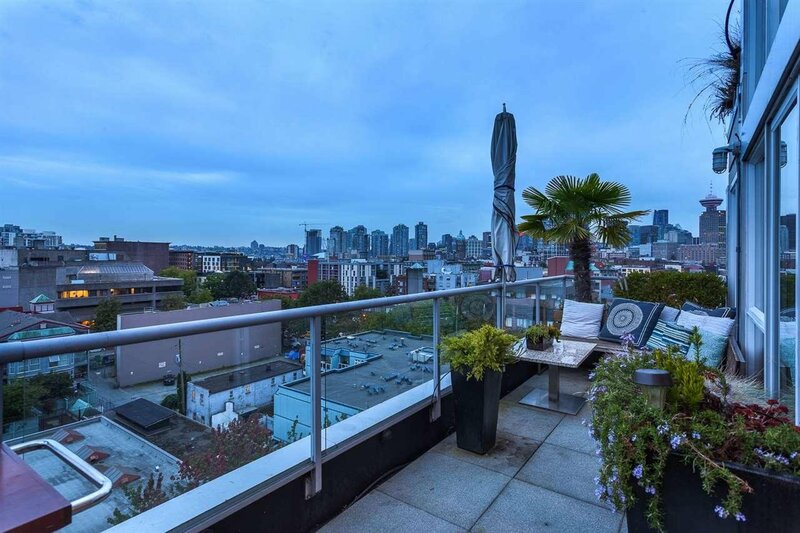 Check out this listing: 1002 289 ALEXANDER STREET, Vancouver. 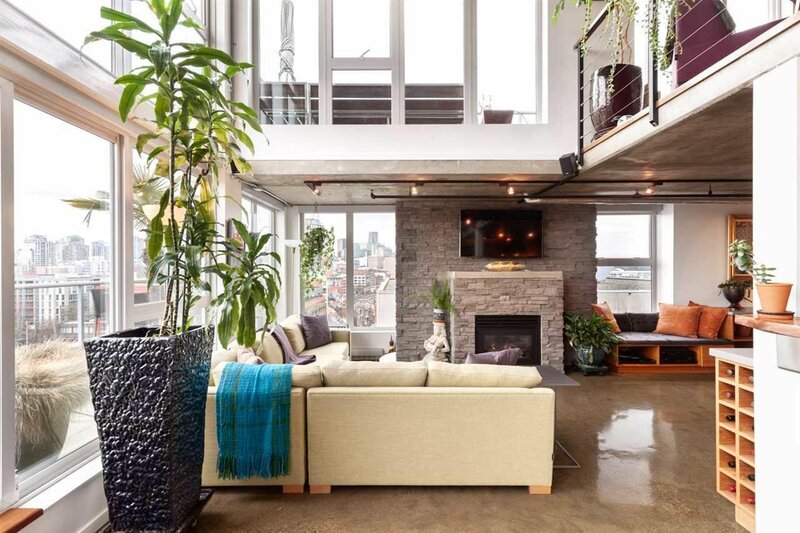 MLS#: R2349686.